I always felt one thing my make-up collection lacked was a good set of quality brushes. I’d had the odd Real Techniques ones in the past, but for a long time I’d been using a simple set from Amazon which sure enough did the job, but were certainly starting to see better days. 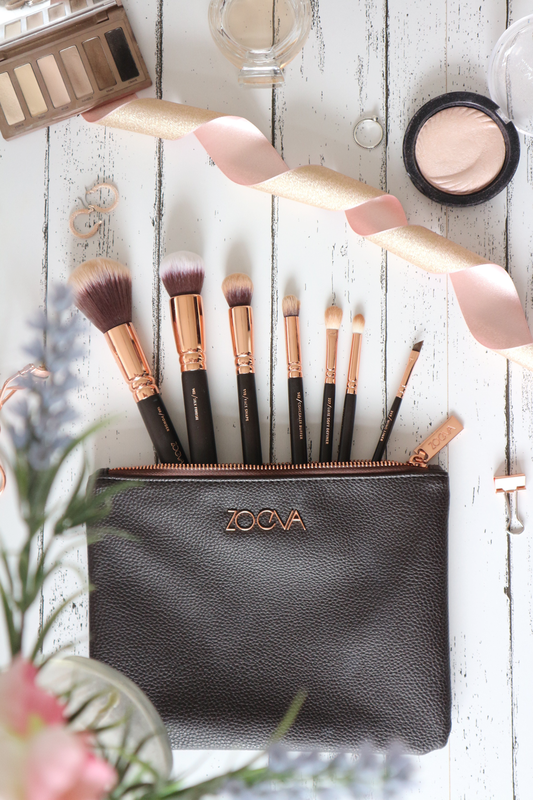 I bought the Zoeva 102 Silk brush after seeing this gorgeous set online to see if perhaps it was worth the investment in the full set. A month or two later my amazing boyfriend got me the full Rose Golden set, without me even asking for it (#boyfriendgoals). Powder Brush. This is a nice and big soft brush. Does what it says on the tin – it’s perfect for powder. Silk Finish Brush. This is the perfect foundation brush – it’s not too big and makes it easy to blend in all sorts of foundations giving a gorgeous finish. Face Shaped Brush. Admittedly I use this brush the least – supposedly best for contouring but I much prefer using a straighter brush for that task. It is useful for blending though, and a handy size to have. Luxe Sheer Check Brush. Totally forgot this one existed so it’s not in this photo – oops! But this is a handy tapered brush which I love to use for my highlight. Concealer and Buffer Brush. This is a handy little brush perfect for blending in concealer under the eyes and into all the nooks and crannies of my face! Soft Definer Brush. A brilliant eyeshadow brush perfect for blending – it reminds me of Macs famous 207. Petite Crease Brush. A handy brush for the crease, or for applying shadow onto the lower lash line. Wing Liner Brush. I use this one for my brows daily! The set has everything you need for day to day make-up and is the perfect starter set for anyone getting into their makeup. It also comes in the best little clutch bag, which I use all the time for my travels. What are your favourite brushes? See more beauty-related posts here. "Creating a Gallery Wall With Desenio"